Hearing Associates takes pride in the fact that the Better Hearing Institute (BHI) has recognized our practice for its classes, Beyond Hearing Aids: Sound Advice. In this class, you and your family members will learn about hearing loss, where your hearing problem is located on the auditory pathway, what medical conditions and lifestyle choices contributed to your hearing loss, how you can prevent further hearing loss, and most importantly, what to do when you can’t hear well. 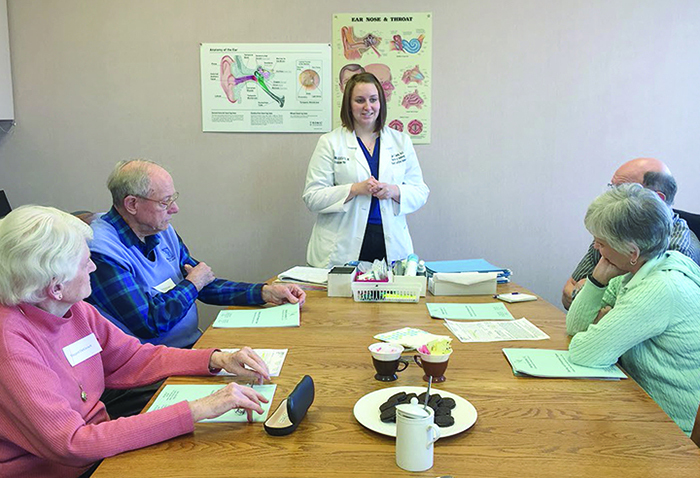 Beyond Hearing Aids: Sound Advice Classes are offered on the first Wednesday of the month in the Conference Room at our Gurnee office. Reservations are required. Class is offered the first Wednesday of every month in the morning and evening in our Gurnee office. Please call 847-453-3832 to reserve your spot today!